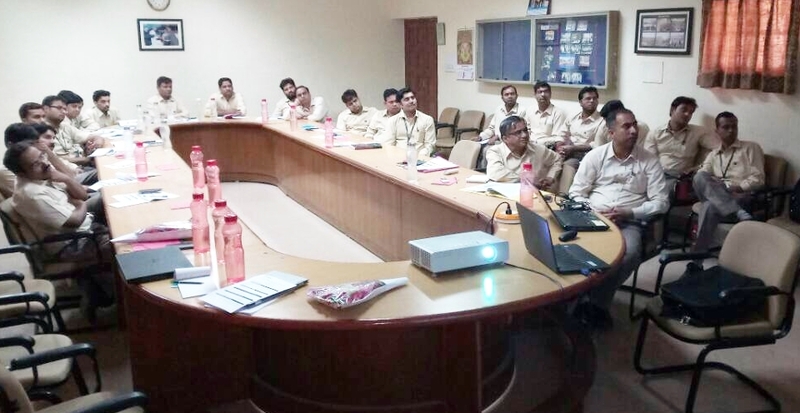 Small Group Activity for JK Lakshmi Cement Limited, Sirohi, started with an opening session by Shri K K Chakarvarti, Expert Consultant. Shri Chakarvarti provided a brief overview on SGA activities and its objectives along with an overview on electrical and thermal saving possibilities at the plant level. He mentioned that an energy saving target of 4.86% has been set under PAT-2 Cycle by Ministry of Power, Government of India. This amounts to 24,237 tonne of oil equivalent energy saving to be achieved by Sirohi Plant in the target year of 2018-19. Plant management has already implemented new and energy efficient technologies to improve its energy performance parameters. Further improvement to be achieved in energy performance indicators would require involvement of all employees. He mentioned that while SGA has tremendous potential in helping a plant realize its productivity and efficiency targets, the onus of its success was with the employees at the operational level. He emphasized that the SGA needs to work as a team and identify innovative approaches through change in practice, technology, approaches to enhance the efficiency of the plant in their area of operation, reduce energy use and minimize wastage. He clarified that in doing SGA, the burden of employees doesn’t increase but infact helps them in improving their productivity, boosting their knowledge and confidence, team building and communication. Each group comprised of 4-6 engineers. The engineers working in various departments viz. Mechanical, Electrical, Instruments, Mining, Process, Environment and Power Plant were part of these groups. 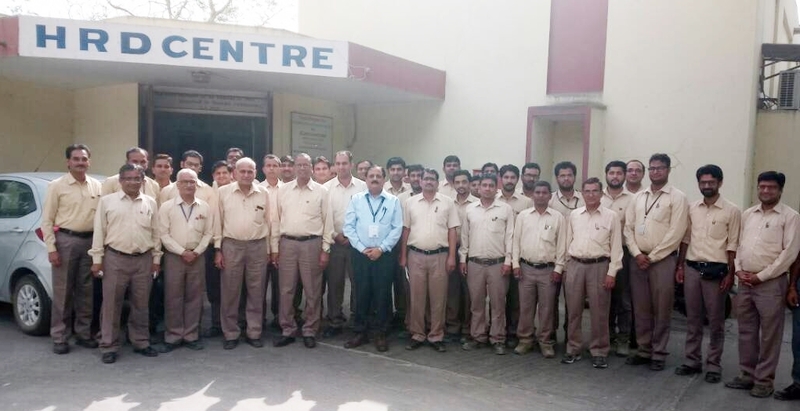 Shri P. L. Mehta, Plant Head, was impressed by the efforts put in by the plant engineers and hoped that planed savings will be achieved within the stipulated time. He congratulated the SGA members and KEP for taking this initiative. Shri Wadhawan, VP (Engineering), advised the participants to review the progress achieved on weekly basis, which should be further reviewed on bi-weekly basis by two GMs. Shri Rajpal Singh Shekhawat, GM (Production), conveyed his thanks to Plant head, Vice President (Engineering), KEP faculties and members of SGA for making this program highly successful. The workshop was concluded with a feedback session where the participants were requested to provide their inputs/suggestion for improving and enhancing the effectiveness of such small group activities organized at plant level. 91 % respondents mentioned that this program enhanced their critical thinking, oral communication, leadership skills, team and self- management along with an increase in understanding of diverse perspective while working as a team. 89% respondents felt that this training program helped in learn about one or more specific ideas that they will be able to implement in the area of energy efficiency and new approaches to energy management. Participants of JK Lakshmi Cement Limited, Sirohi with Shri P. L. Mehta, Plant Head; Shri Wadhawan, VP (Engineering); Shri Rajpal Singh Sekhawat, GM (Production) and Shri NKJ Panchal, Deputy General Manager .